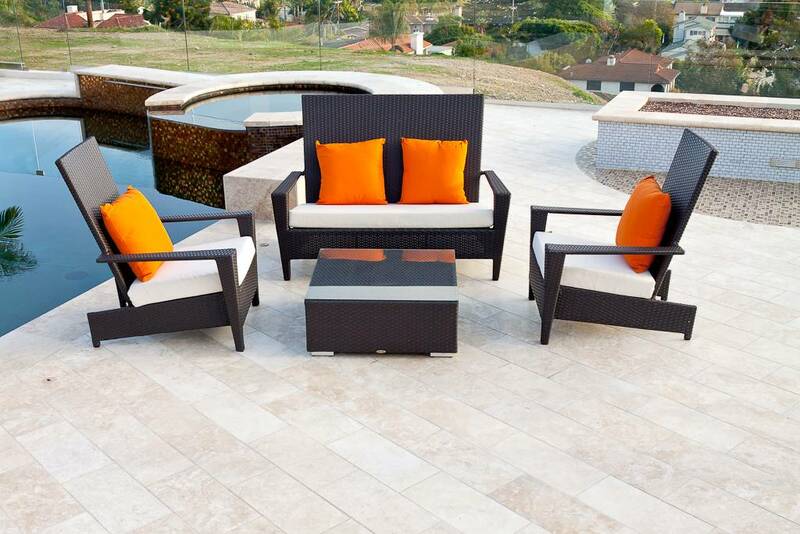 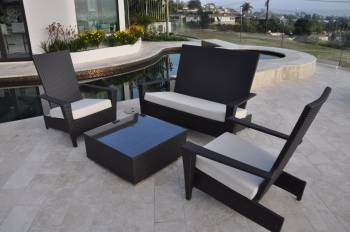 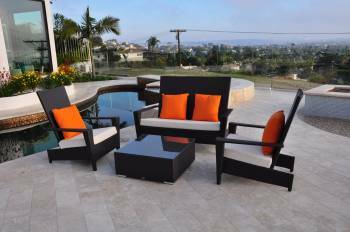 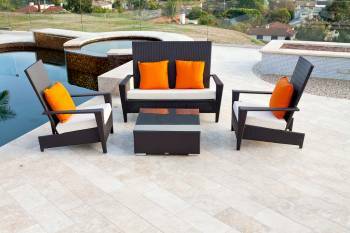 Suitable for residential or commercial use, this seating set offers a classic silhouette perfect for any modern outdoor space. 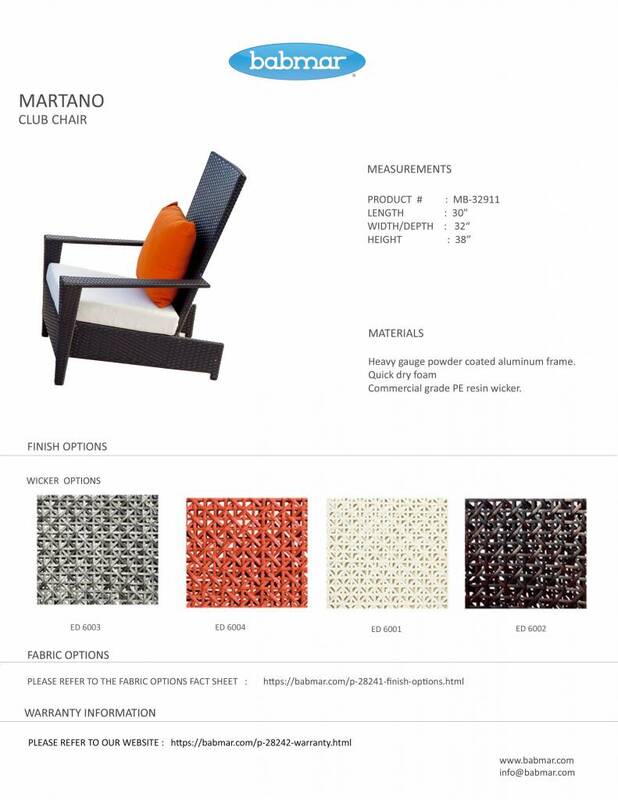 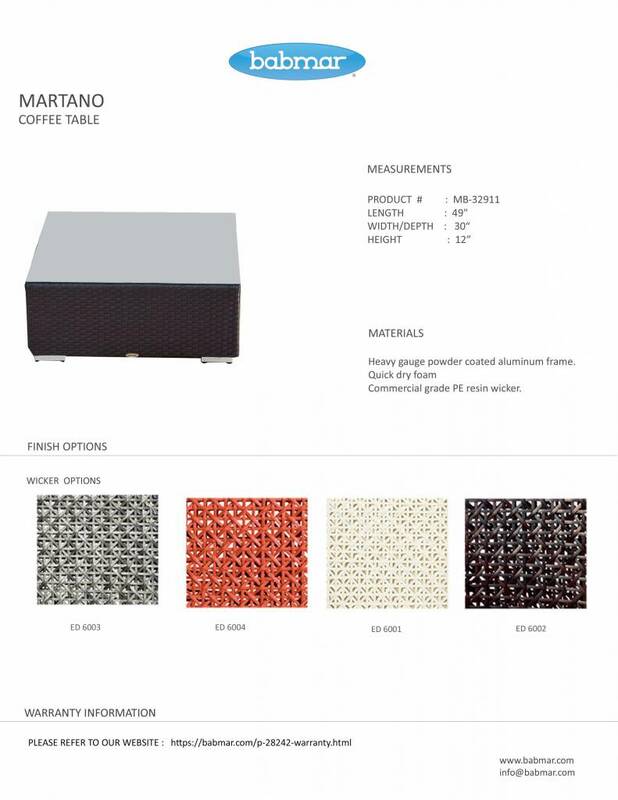 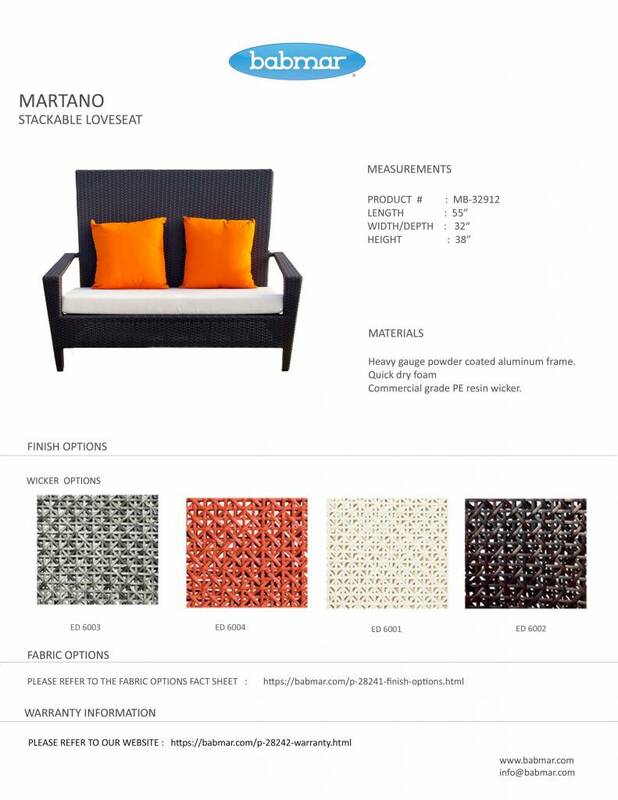 Comprised of Babmar Fiber®, the Martano Seating Set for Four is able to withstand the harshest of elements lasting from season to season. 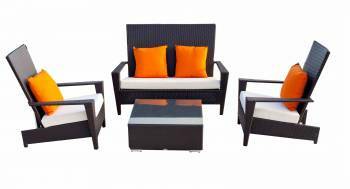 This chair set is detailed with a 4" thick seat cushions. Hand crafted from tightly woven 'commercial grade' , Babmar® all weather wicker.